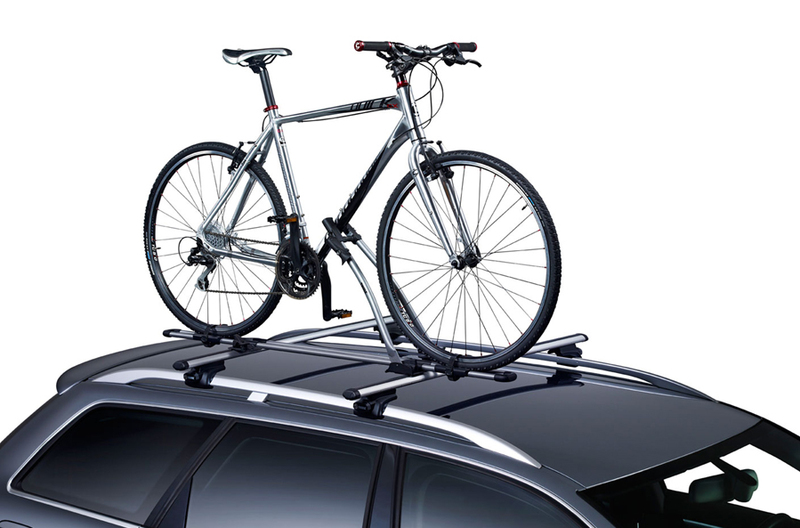 The FreeRide is a lockable, sturdy roof mounted bike rack with adjustable quick-release straps. The rack is mounted on roof bars, it fits most bikes and makes loading very easy. 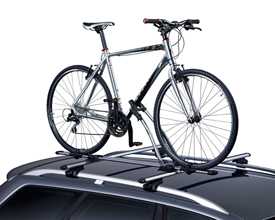 This roof mount bike carrier mounts on roof bars holding the bike upright. Wheels are secured to base with straps. Frame is clamped in an adjustable clamp at the end of the arms. Frame holder for round tube frames with tube diameters from 22mm to 70mm and oval tube frames up to 65 x 80 mm. Adjustable wheel holders that can handle tyres ranging from 1 1/4" to 3". 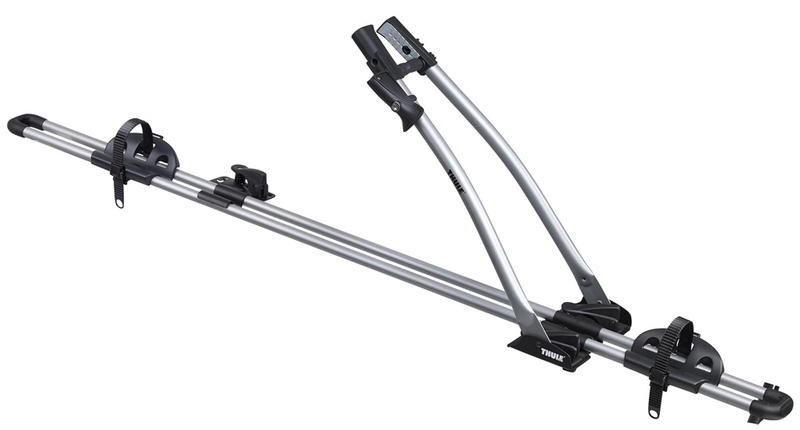 Suitable for both standard square & wing bars (T-Track) load bars up to 56 mm wide. Quick & easy to fit and sturdy & secure holding of bike. Includes locks to secure bike and rack to roof rack. Mounts to roof bars (available separately).